Every year, since 2014, we launch a major French national awareness campaign on childhood cancer, thanks to the tremendous generosity of French media, the support of Mika, Peter Lindbergh, Stephen Kidd, and the creative and media agencies Mindshare, Hill+Knowlton, Zorba, DaisyDay and Reuilly&Associés. On the occasion of International Childhood Cancer Day on February the 15th, our media campaign is broadcast throughout the month of February in order to make people aware of childhood cancer and the urgency to help the research. On television, at the cinema and on the internet, it is the very moving testimonial of Maurine, with Mika, that is aired. Maurine was 10, had a very happy little girl life and dreams for her future. She fought against cancer like a little warrior. We will keep her in our hearts for ever. A huge THANK YOU to all the French television channels, movie theatres and digital networks who support us, some of them for the first time, others renewing their loyal support to the cause of childhood cancer. The campaign key visual was one of the outstanding pictures shot by photographer Peter Lindbergh during our trip in French Camargue in 2015, with six little warriors from Gustave Roussy Hospital in France. 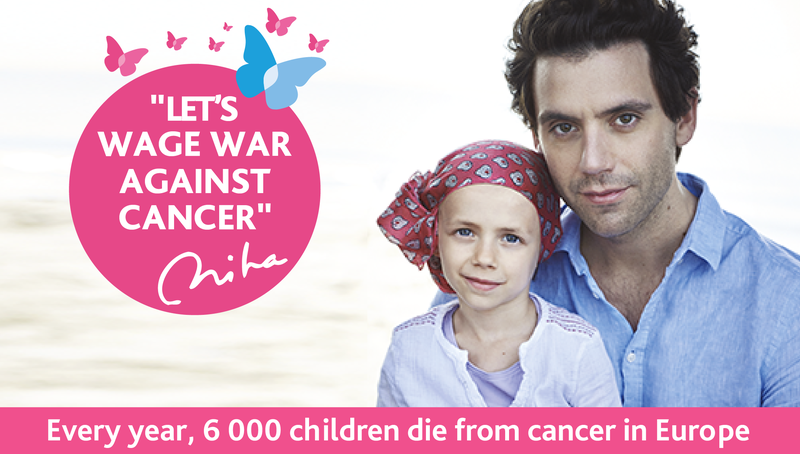 Mika and the little warrior Janotte share with French people this strong message to show the importance of mobilizing for the research against childhood cancer : “Let’s wage war against cancer!”. THANK YOU to all the outdoor and press compagnies. Thanks to more than 1.000 billboards and more than 30 publications in magazines, we are able to make millions of French people aware of childhood cancer. A BIG THANK YOU to all the French media for this outstanding 2019 campaign entirely offered. THANK YOU to the agencies Mindshare, Hill+Knowlton, Zorba and DaisyDay who worked non-stop and for free to prepare it. THANK YOU to Mika, Peter Lindbergh and Stephen Kidd for their loyal support.